How to Use iOS 11 on iPad? iOS has been around for a long time. It is difficult to continue advancing after such a variety of emphases. But then, from multiple points of view, iOS 11 feels like a totally new brute on the iPad. Without precedent for years, it feels like Apple is going to take a risk with its operating system update. If you're using an iPad iOS 11, get ready to be disoriented by the update because the iPad simply doesn't work the same way. 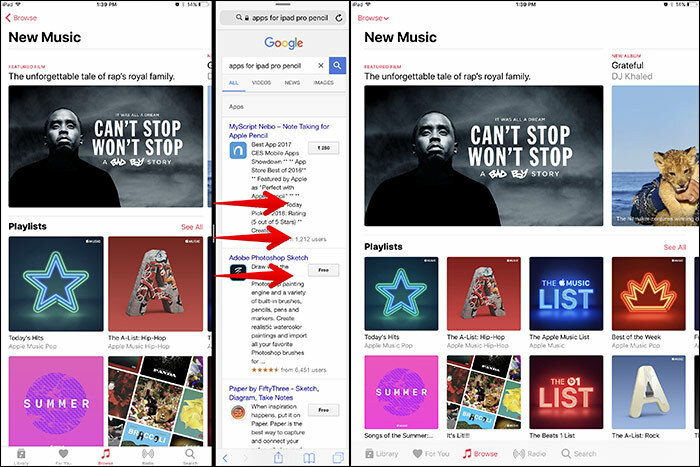 Apple has completely changed the user experience with a big emphasis on Split View and Slide Over. The article will show you how to use ios 11 on your iPad. Note: If you are interested in upgrading your iOS device to iOS 11, please refer to iMyFone's guide on upgrading to iOS 11. How to Use Split View and Slide Over in iOS 11 on iPad? How to Use Multitasking in iOS 11 on iPad? How to Drag and Drop in iOS 11 on iPad? How to Custom Dock iOS 11 on iPad? How to Remove Slide Over Panel and Slide Over App? The first thing you're going to notice when you install iOS 11 on iPad is that the bottom row on your screen has been replaced by a macOS-like dock. You can put a dozen apps in that dock, and you can pull up that dock by swiping your finger from the bottom edge of the screen. It works even if you're using an app already. You can tap on an app icon and drag it on the side of the screen to open a narrow version of it. It works just like Slide Over in iOS 9 and iOS 10, but with a new presentation. Moreover, if you need to use two apps at the same time, you can still open both of them using the split view. You can easily replace one of the apps by dragging an icon from the dock and dropping it on one side of the screen. 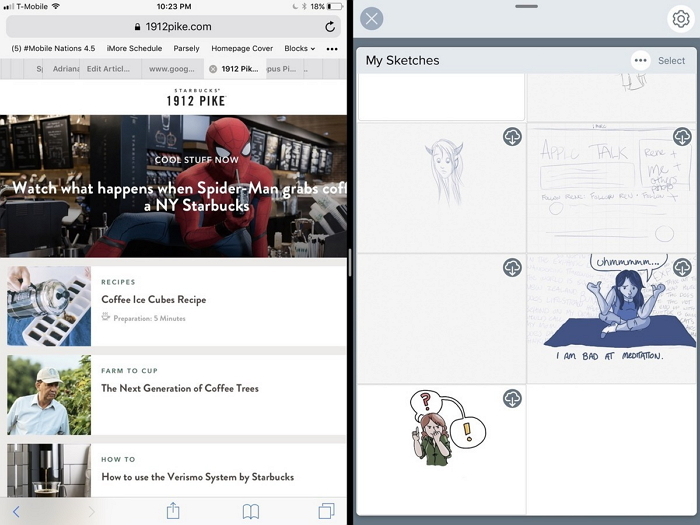 Multitasking isn't a new idea for the iPad, but its execution here is a leap forward. This is not only the iPad at its best but Apple at its best. The new multitasking view is brilliant, showing a grid of windows rather than being wasteful of the iPad's screen real estate as with iOS 9. It also shows Control Center here automatically and the new dock. It remembers how you group apps together and lets you switch between different spaces. For instance, if you have Mail, Word open, and switch to Safari, you can jump back and those apps are still side-by-side. Drag and drop is a new feature coming to iPhone and iPad iOS 11 and looks to improve upon what has been available on PC and Mac for decades. It's very easy to do, you simply press and hold on an item you want to drag, and it's then pinned to your finger. From there, simply swipe across the display with your other hand and drop the item where you want. On an iPad, you can drag and drop items between apps or even drag and drop apps themselves, and much more. You can also use iOS 11 drag and drop technology to organize your Home screen, a task that for years has been difficult. 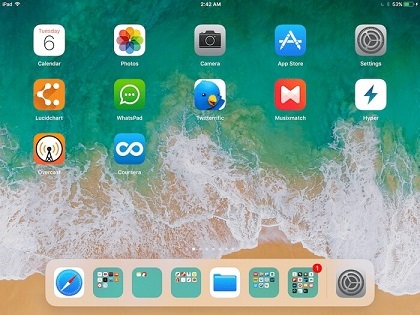 iOS 11 presents a new Dock. This new Dock changes your iPad into something significantly more beneficial and a hell of significantly more easy to understand. It's accessible on your iPad from any screen, in both portrait and landscape mode. This new Dock is completely redone. Adding your most loved applications is easy – just tap that application and drag into your Dock. You can even add files to the Dock – just drag a file down similarly as an application. With files, you get to a group of applications, all through your Dock without taking excessively Dock space! If you need to remove an application from your Dock, that's simple as well! Simply tap it, drag it, and drop it into your new area or folder. In spite of the fact that Slide Over sidebar multitasking on iPad is one of the more advantageous components for iPad users, there are times when the slide over sidebar features is accessed to inadvertently. In the event that you get yourself unintentionally going into the Slide Over sidebar multitasking mode on the iPad frequently, or maybe you simply don't care for Slide Over for some other reason, you can off the feature totally and keep it from appearing. Open the "Settings" app on iPad and go to "General" section. Flip the switch next to "Allow Multiple Apps" to the OFF position. Exit the Settings app as usual by pressing the Home button. With "Allow Multiple Apps" disabled, you will never again approach the sidebar Slide Over component regardless of how often you swipe from the side of the iPad show. It's hard to cover everything about how to use iOS 11 in just one post as your experience with this update is going to amaze you if you're using an iPad. On the iPad iOS 11 feels like a brand new operating system. iOS 11 is the update that the iPad has been waiting for. 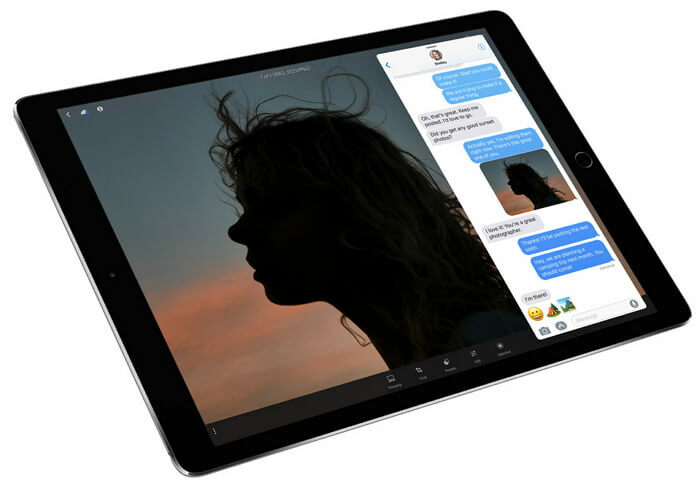 Though the new multitasking features along with drag and drop won't mark out the iPad as a laptop replacement for all, it will surely make it a much more feasible alternative.